"Grand Marais, MI Snowmobile Trail Maps"
We look forward to hearing from you and helping you have the best Upper Peninsula experience. We are open year-round. So whatever the season it may be, we've got you covered! 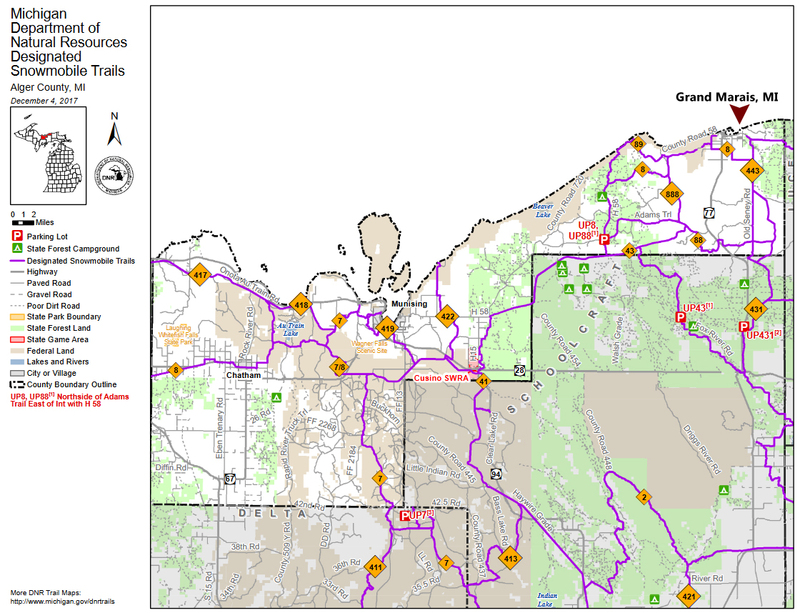 "At Grand Marais Sno-Trails we send our beastly groomers out every evening to knock down snow moguls and smooth out every mile of one of the best snowmobile trails ever created. 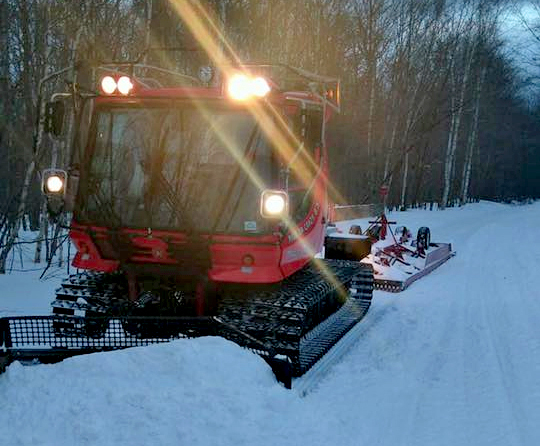 Our groomers hit the trails every evening, first to make sure snowmobilers have freshly groomed trails everyday, and why into the wee hours of the AM? Because snowmobile traffic is lowest and the cold night temperatures help freeze a smooth base before riders hit the trails the following day." Copyright ©2017 - 2019 Grand Marais Powersports. All rights reserved.